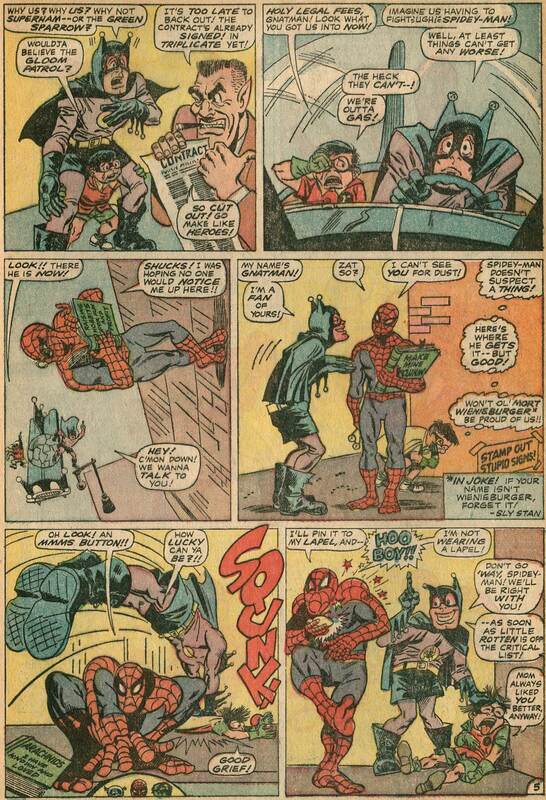 Animation Resources supporter, Kevin O’Neil was reading one of our comic book articles earlier this week, and it reminded him of some treasures in his own stash of comics. 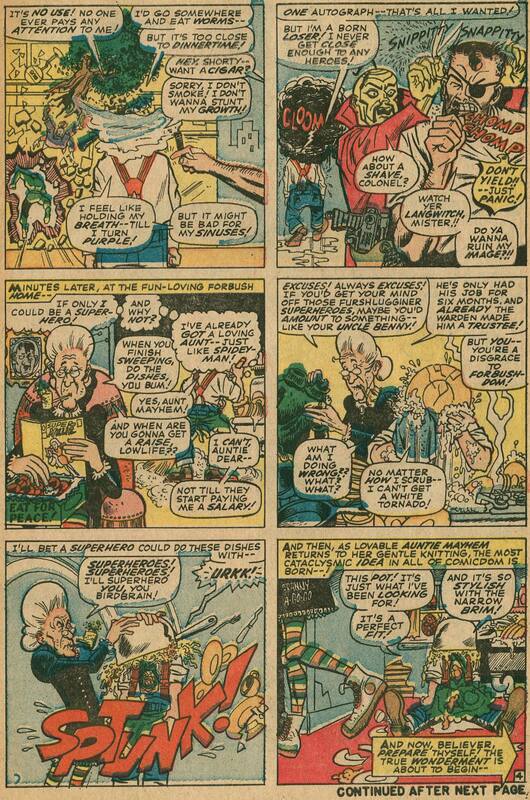 So he came down to the archive and lent us his collection to digitize. 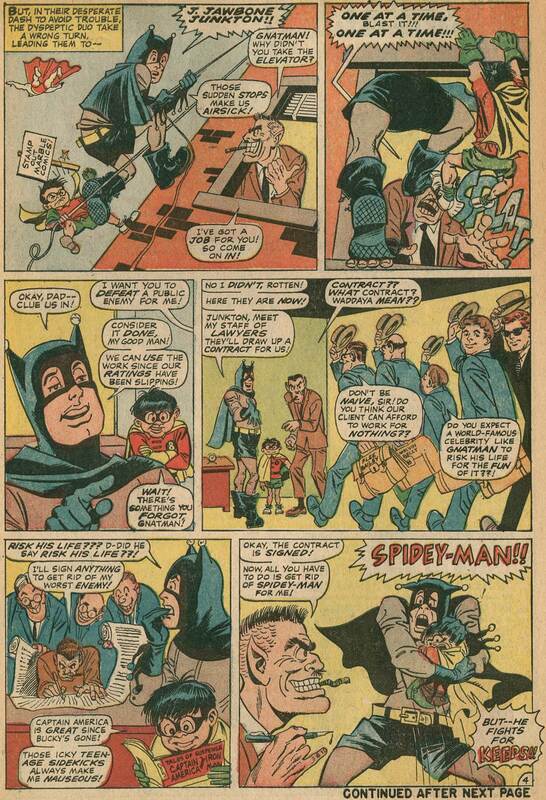 Thanks, Kevin! 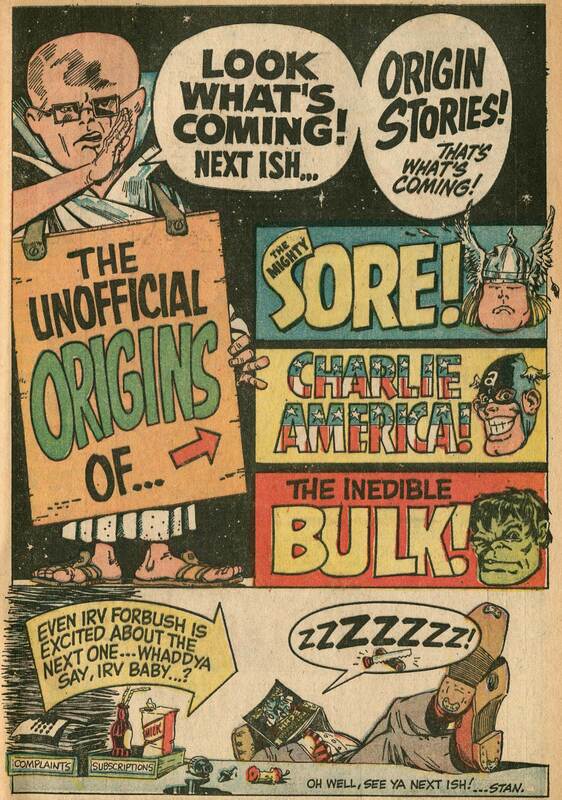 Current superhero comics (now referred to self-importantly as "graphic novels") take themselves VERY seriously. It’s rare for a publisher to allow a parody of its own characters… and unheard of for the creator himself to get the opportunity to make fun of his own creation. 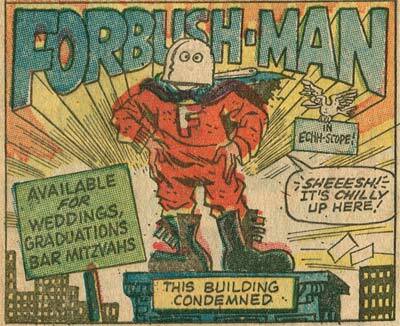 But back in the silver age of comics, cartoonists didn’t take themselves quite so seriously. 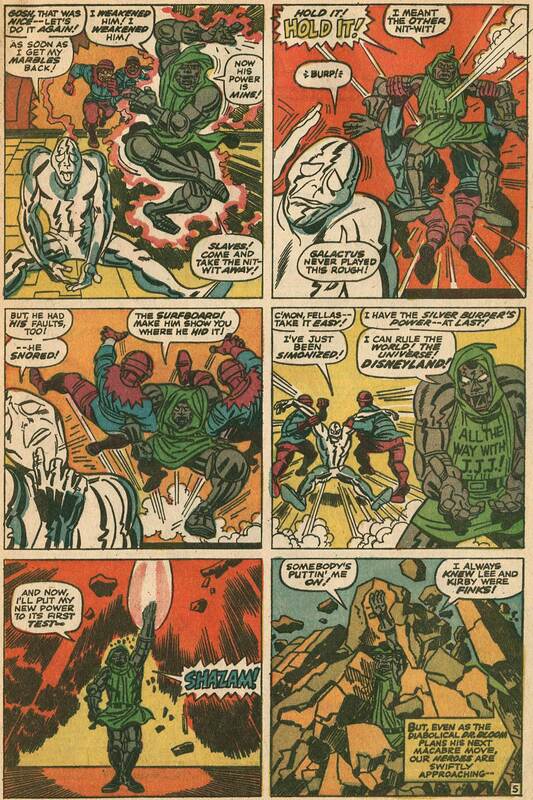 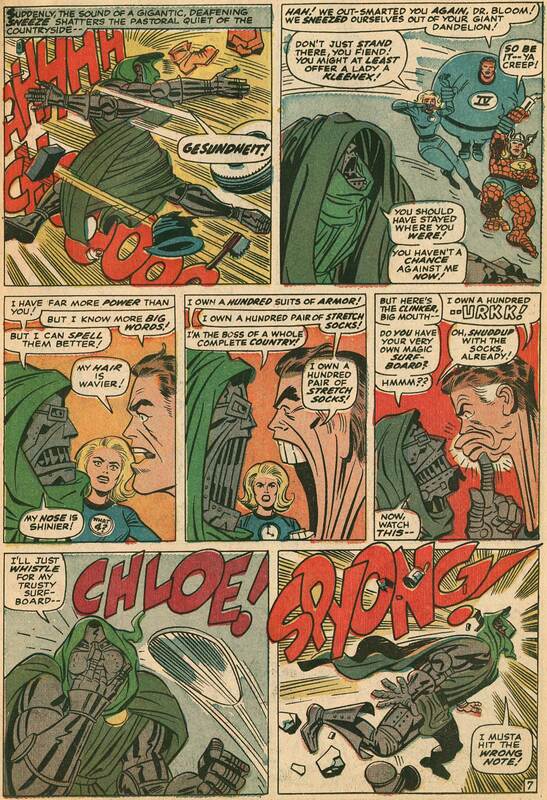 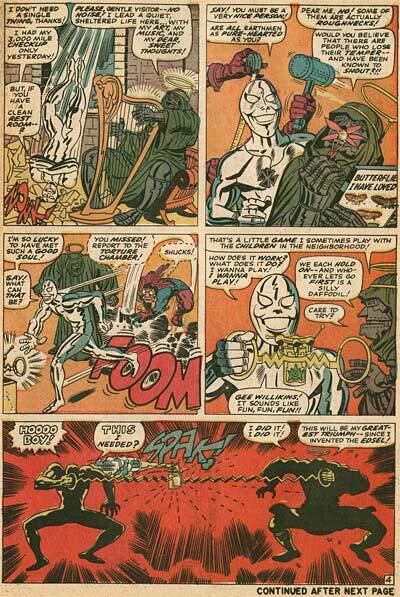 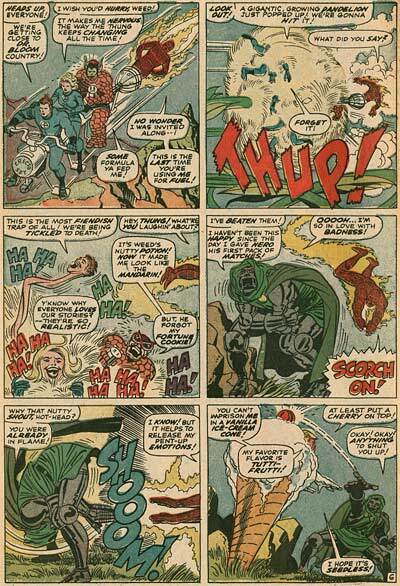 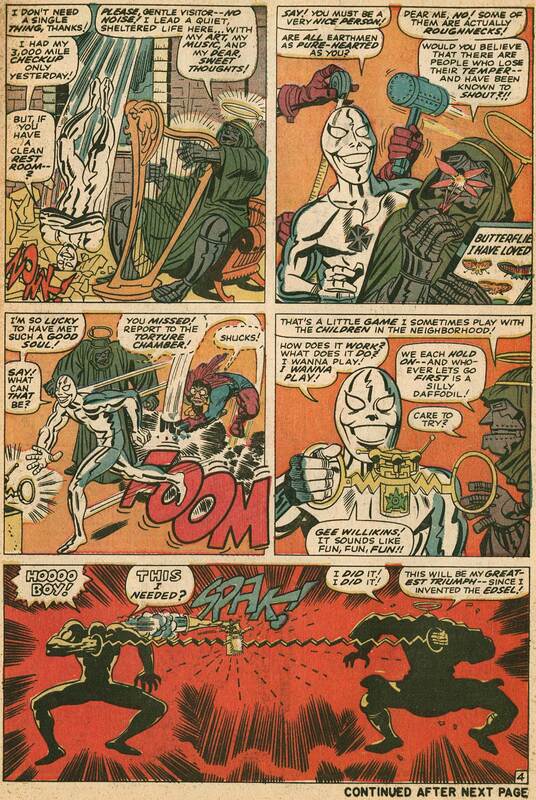 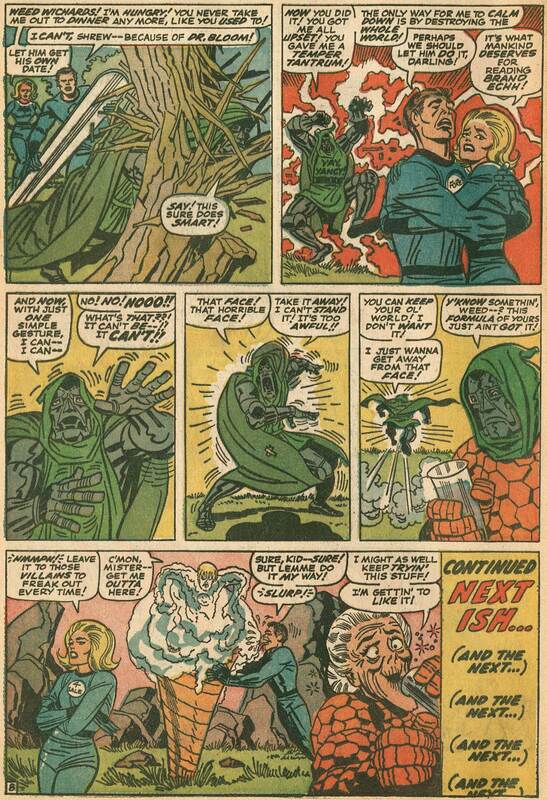 Here we have the unthinkable… Jack Kirby and Stan Lee doing a parody of their own Fantastic Four and Silver Surfer comics for Marvel’s Not Brand Echh! 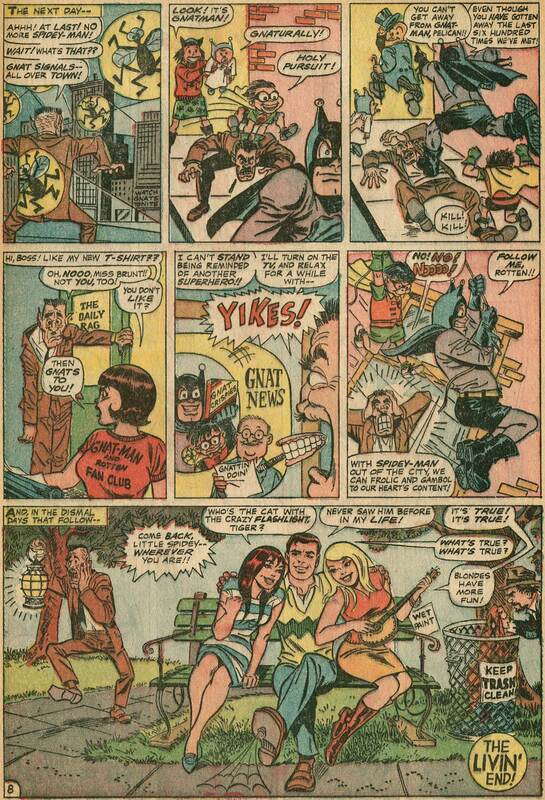 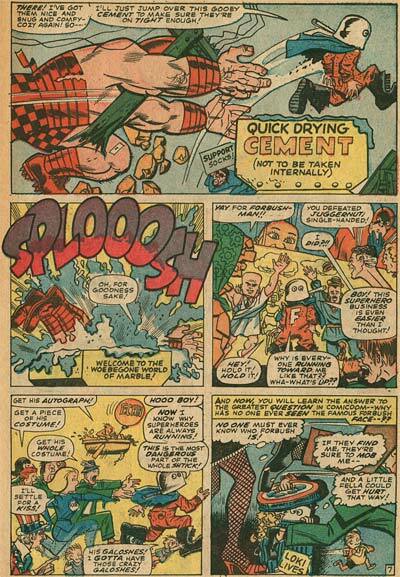 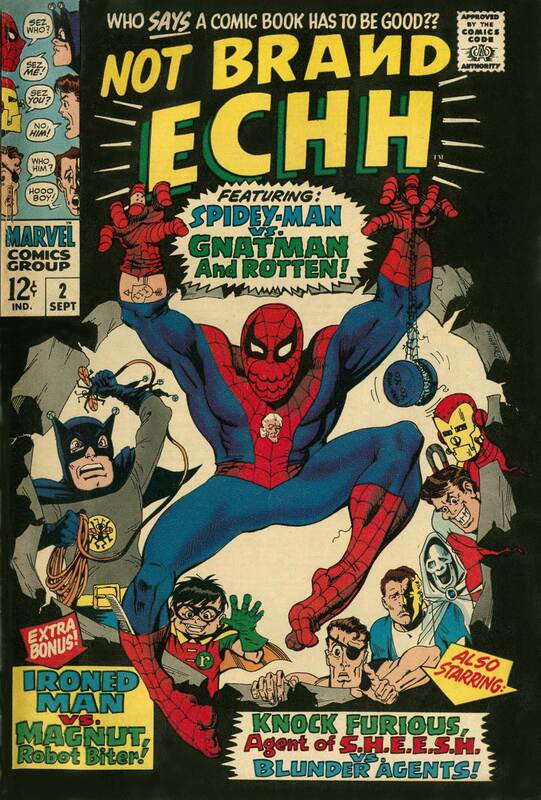 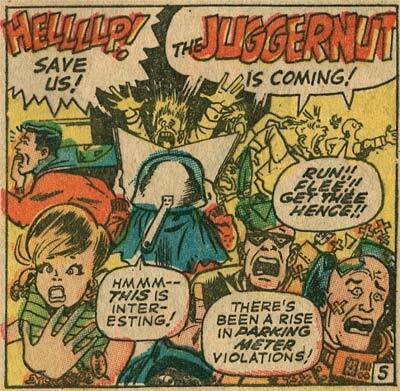 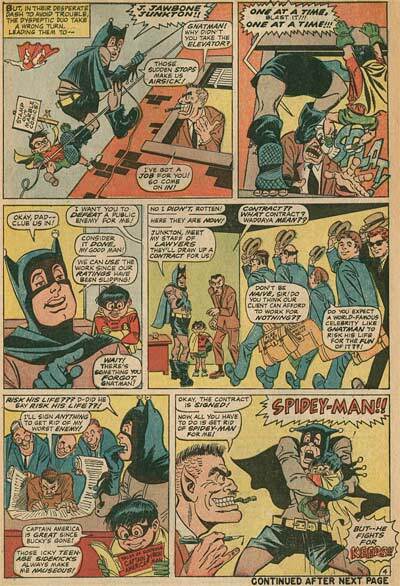 Not Brand Echh was a short-lived humor comic line from Marvel that parodied superhero comics. 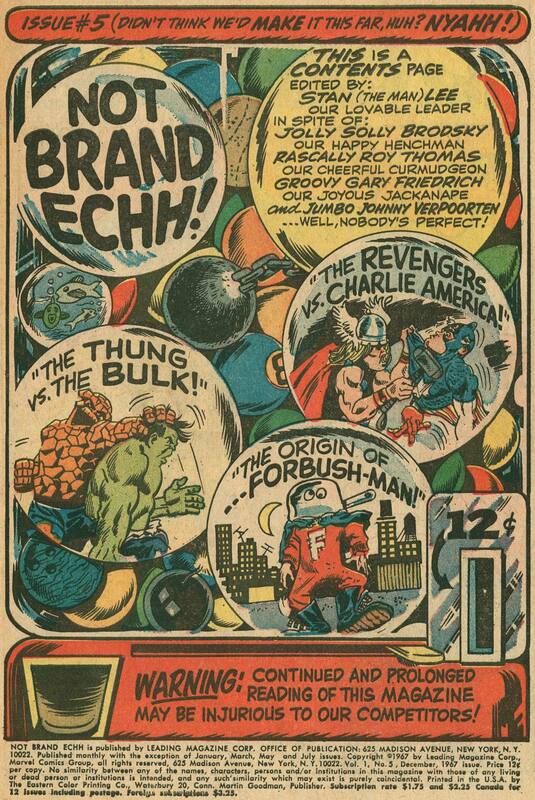 The title was derived from the term of derision used in the letters section of Marvel comics to describe competing comic book companies… "Brand Echh" was a riff on TV commercials that compared products to their competitor, "Brand X". The series ran for 13 issues from August of 1967 to May of 1969, and featured art by Bill Everett (see our recent post on Bob’s Big Boy), Roy Thomas and John and Marie Severin. 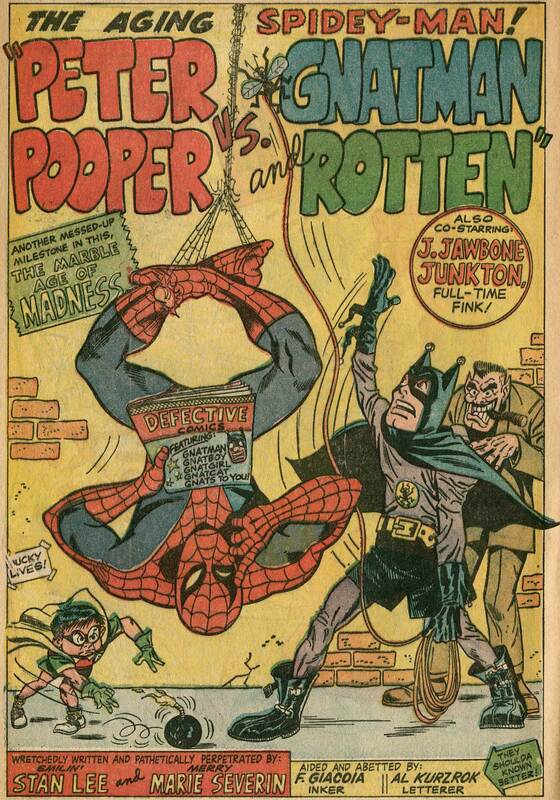 Here’s a parody that mingles the superhero universes of both Marvel and DC. 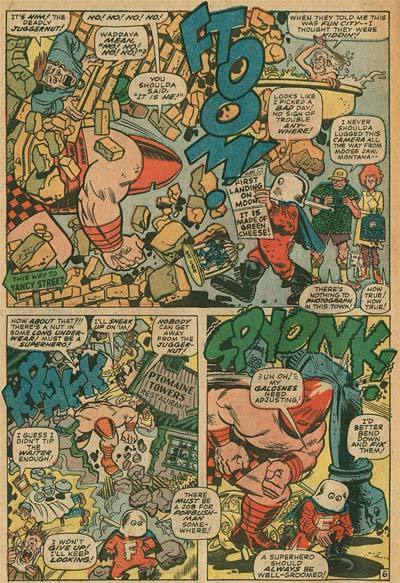 Other stories in this issue lampoon Gold Key’s Magnus, Robot Fighter and Tower’s T.H.U.N.D.E.R. 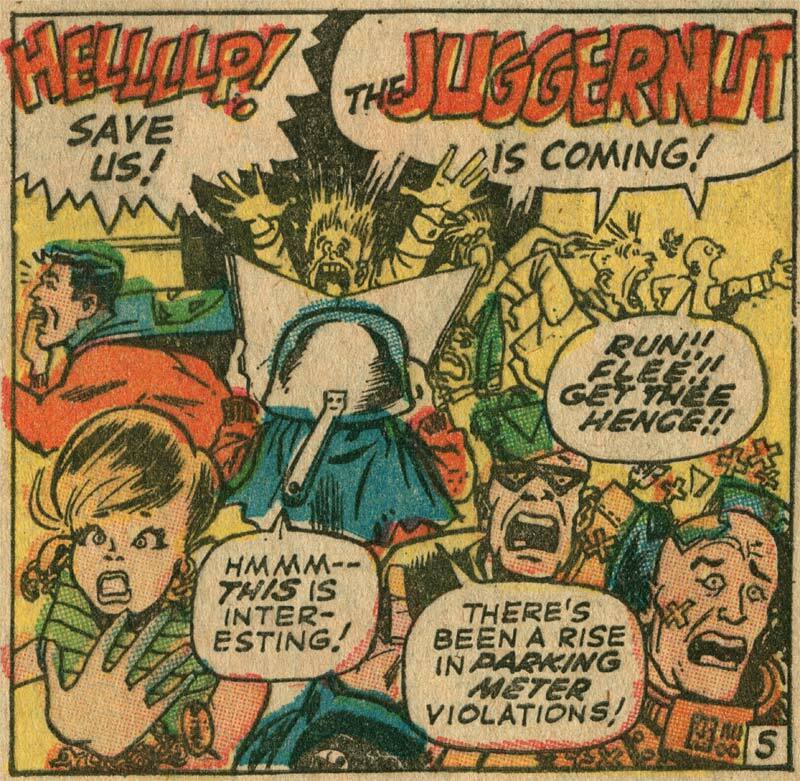 Agents. 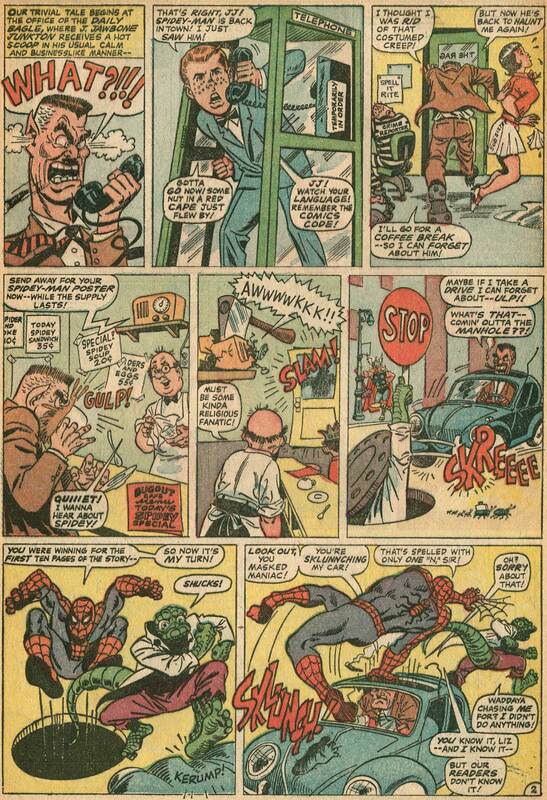 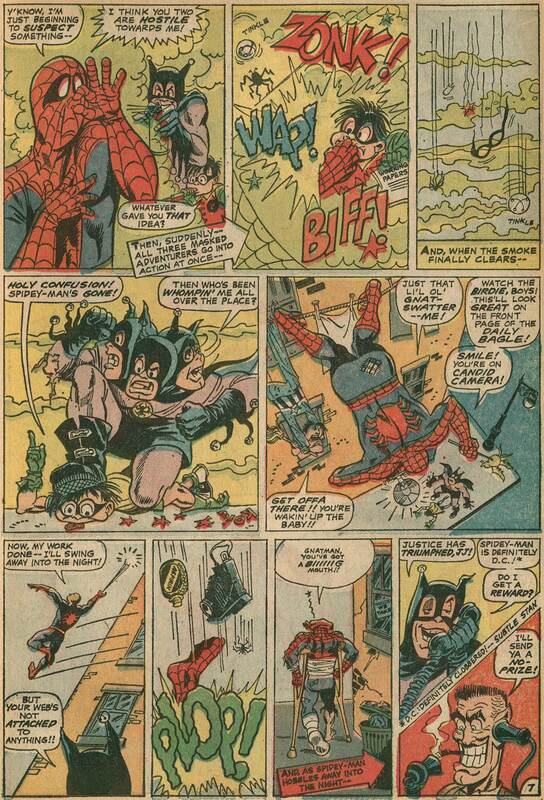 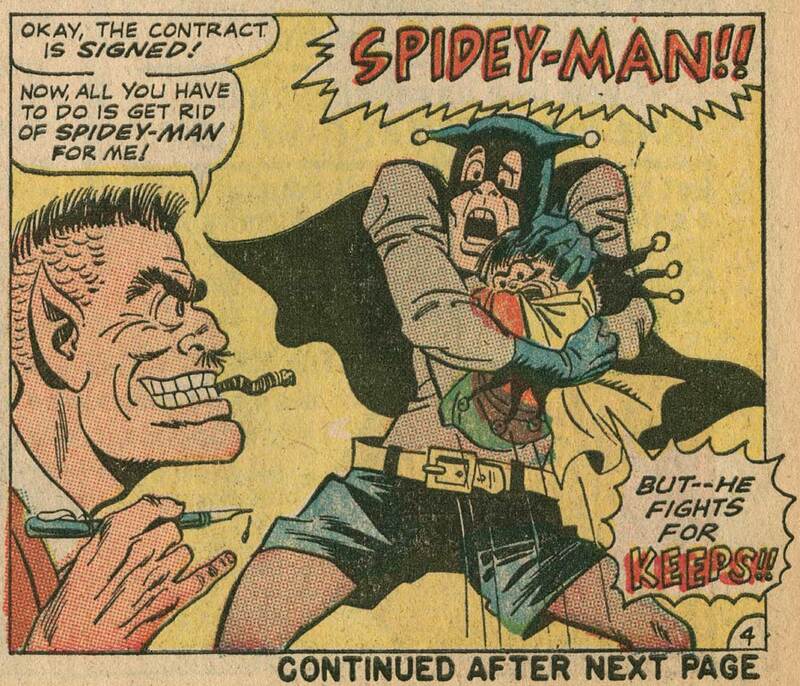 Marie Severin is one of the underrated geniuses behind Marvel comics. She started as a colorist for EC Comics in the 1950s, where she established a reputation for creating sophisticated color schemes that raised the level of quality above the arbitrary primary and secondary colors that filled other comics at the time. 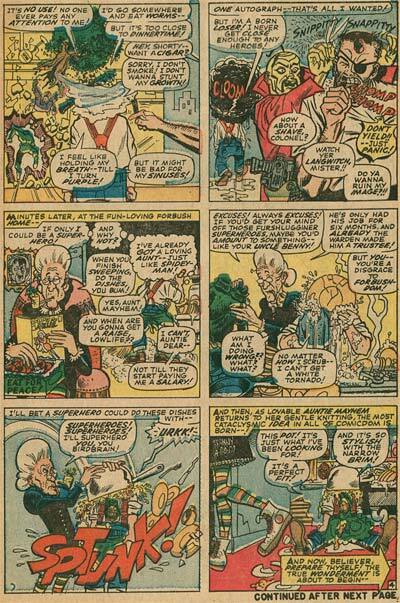 She transitioned to working as an artist on the Doctor Strange and Sub-Mariner lines, but really made her mark doing parodies in Not Brand Echh and Crazy. 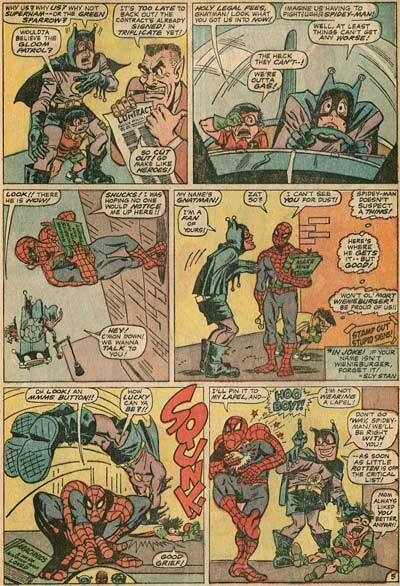 One of those unanswerable questions that never seems to go away (at least at gatherings of comic book nerds) is "Who would win in a battle between Batman and Superman?" 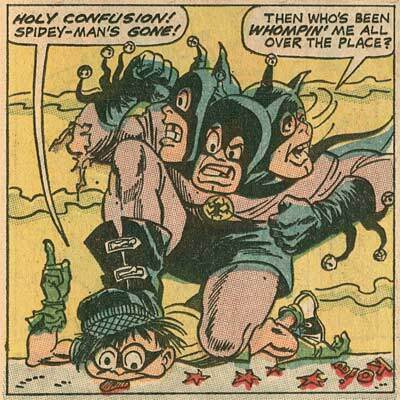 Fanboys have expended many hours debating the fine points of this and other match-ups with no clear answer. 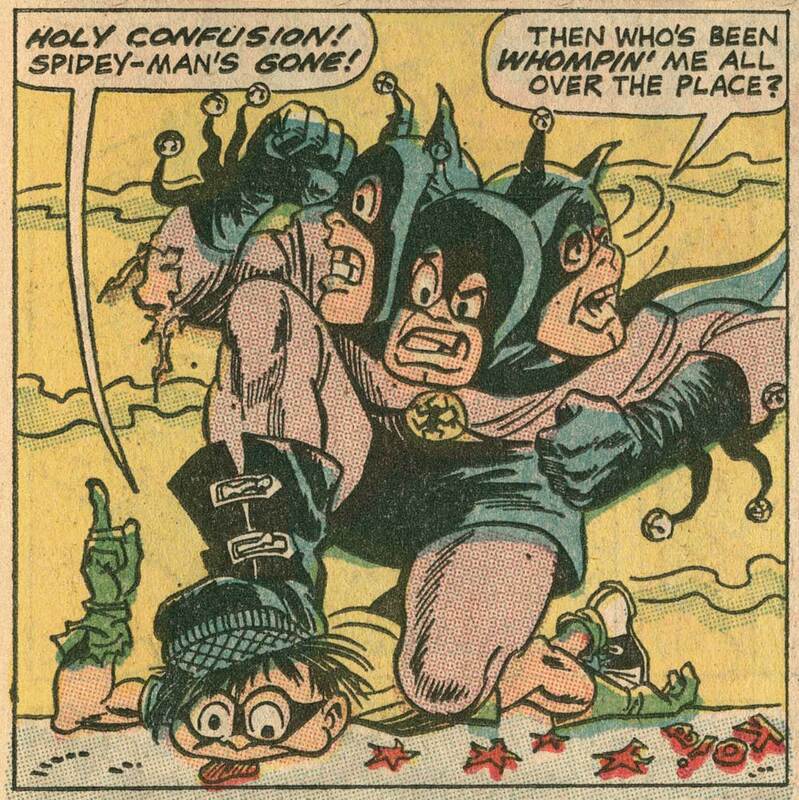 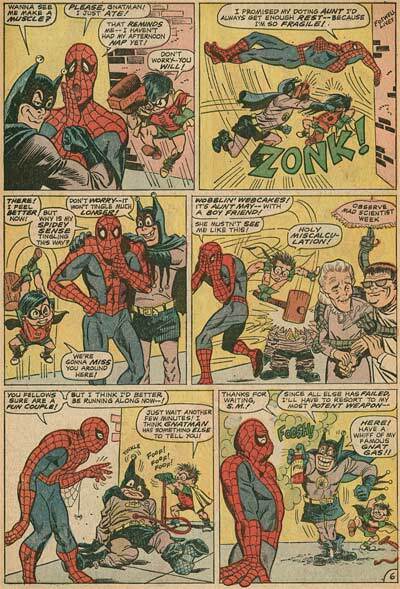 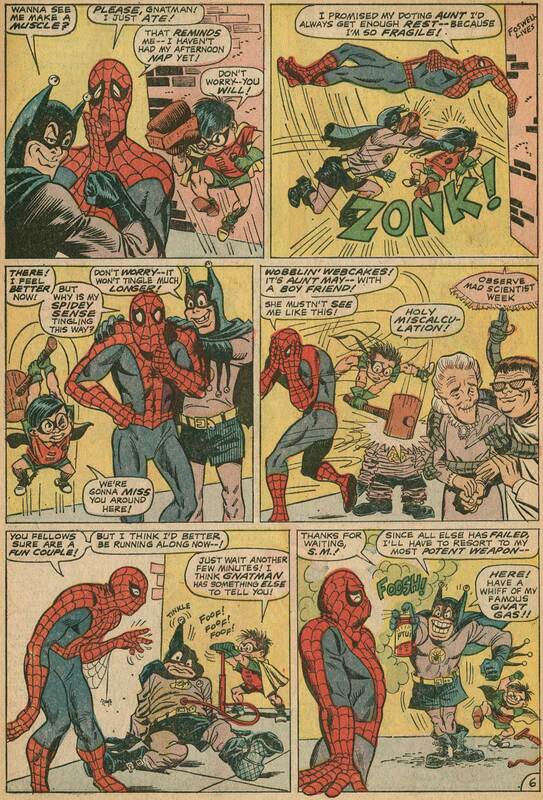 But now we finally get to see the decisive outcome of a battle royale between the "Caped Crusader" and the "Web Slinger"! 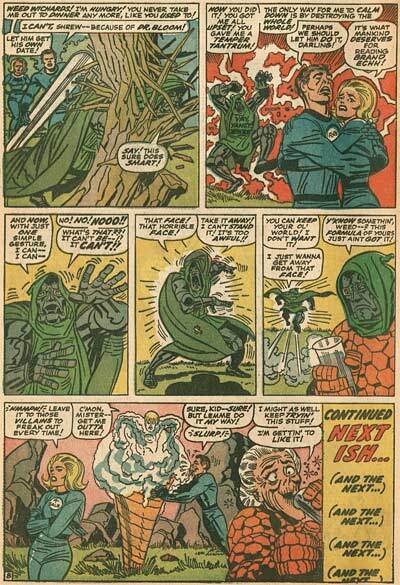 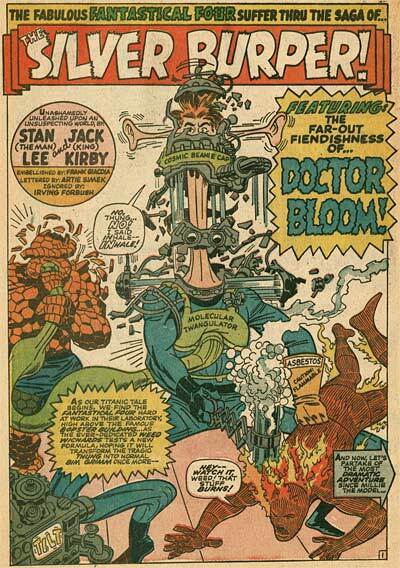 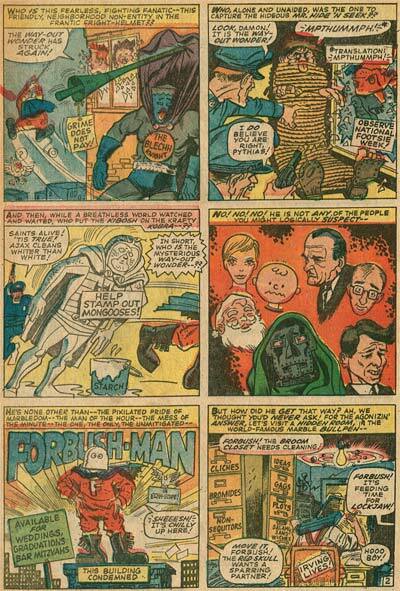 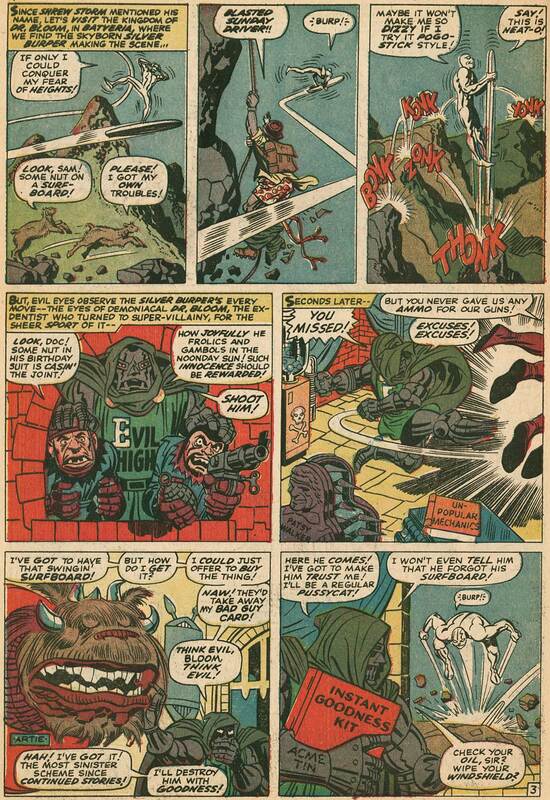 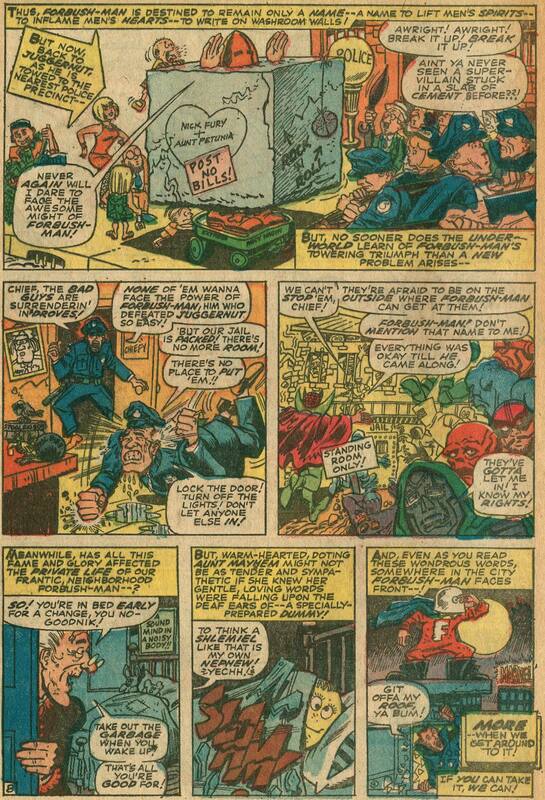 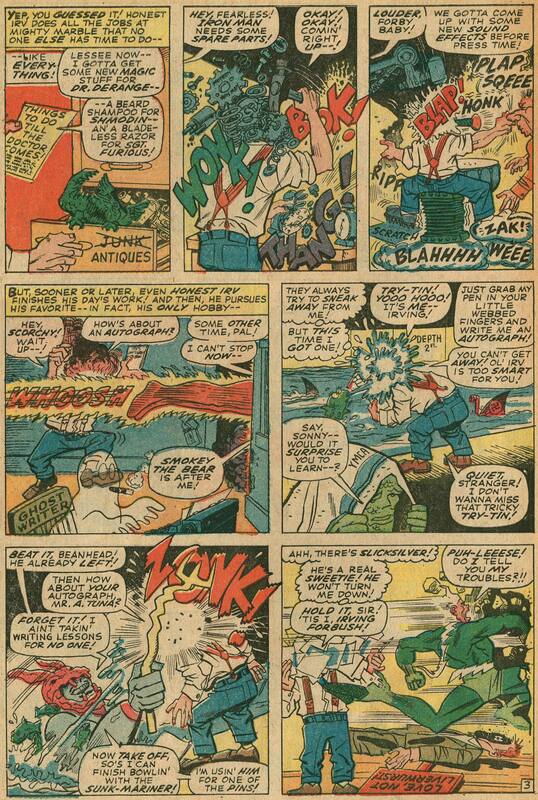 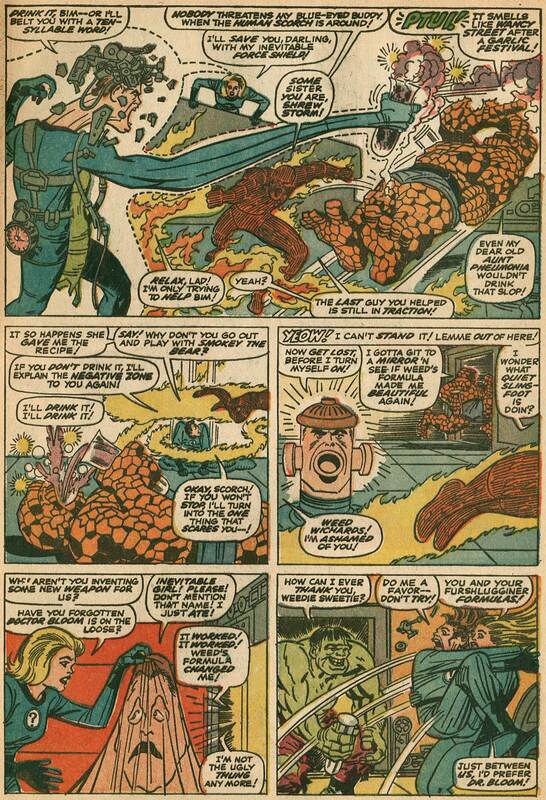 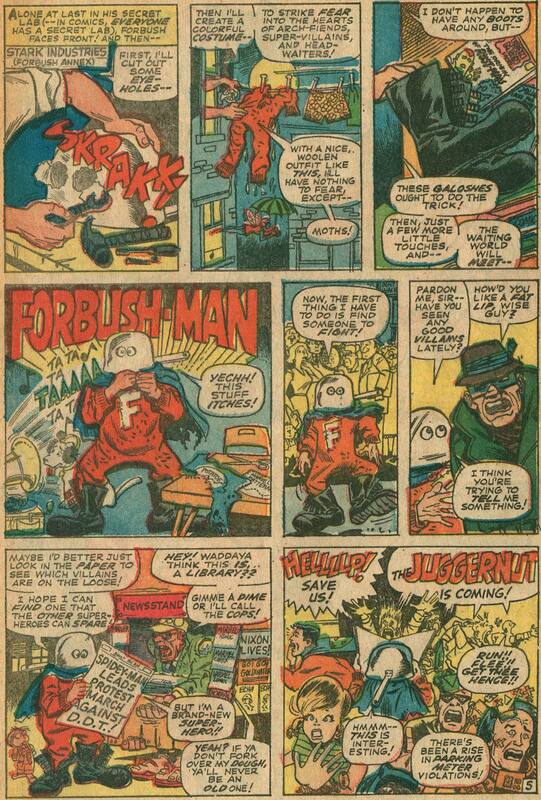 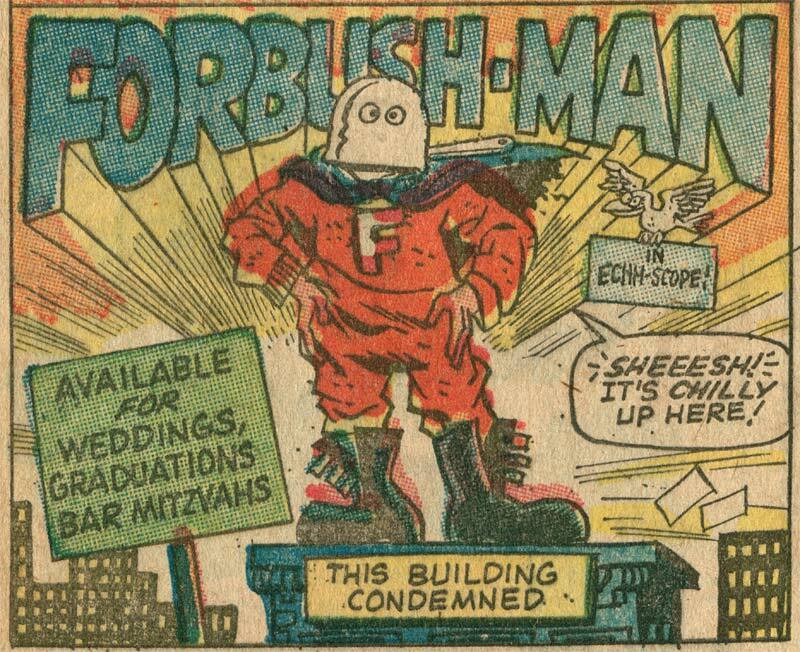 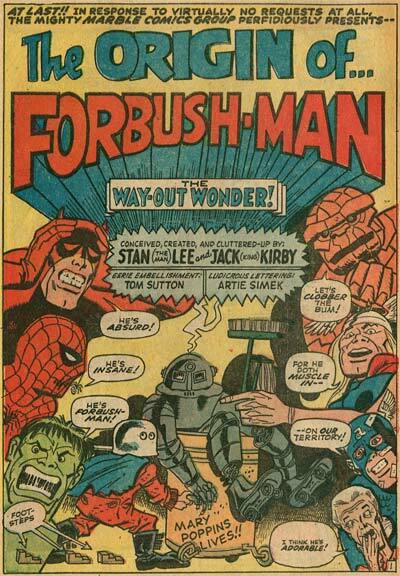 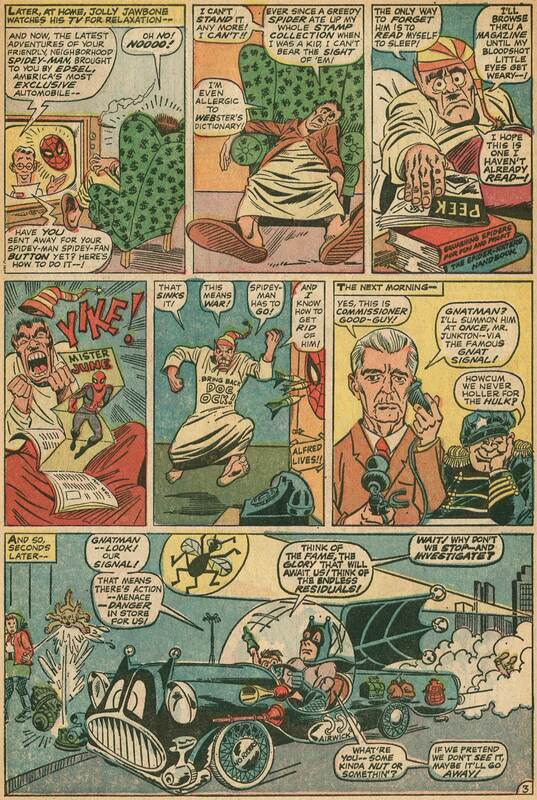 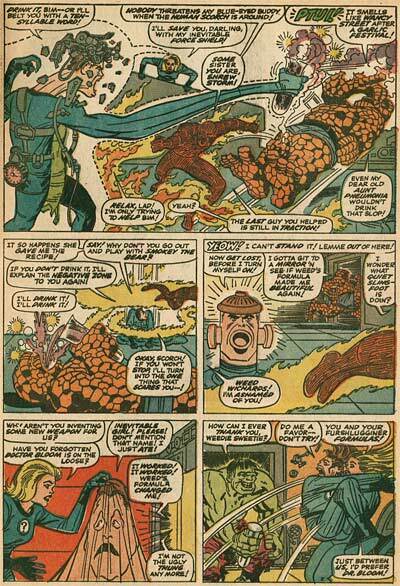 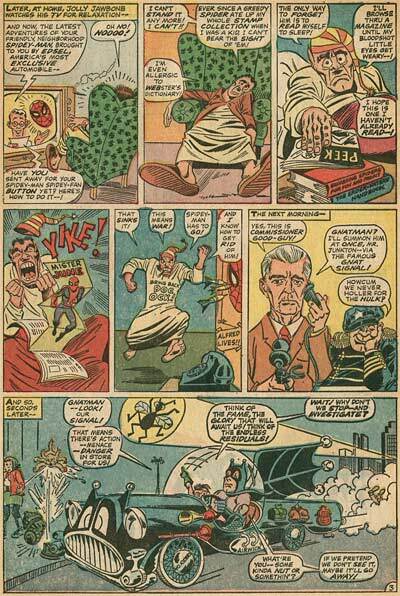 Here is another great team-up of Stan Lee and Jack Kirby, "The Origin of Forbush Man". 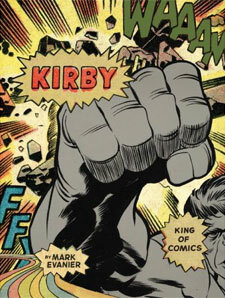 Mark Evanier has a new book out titled, Kirby: KIng of Comics . I haven’t had a chance to take a look at it yet, but I’m sure it’s great. Click through the link to find out about it at Amazon. If anyone out there would like to contribute a copy to the Animation Resources library, we would greatly appreciate it! 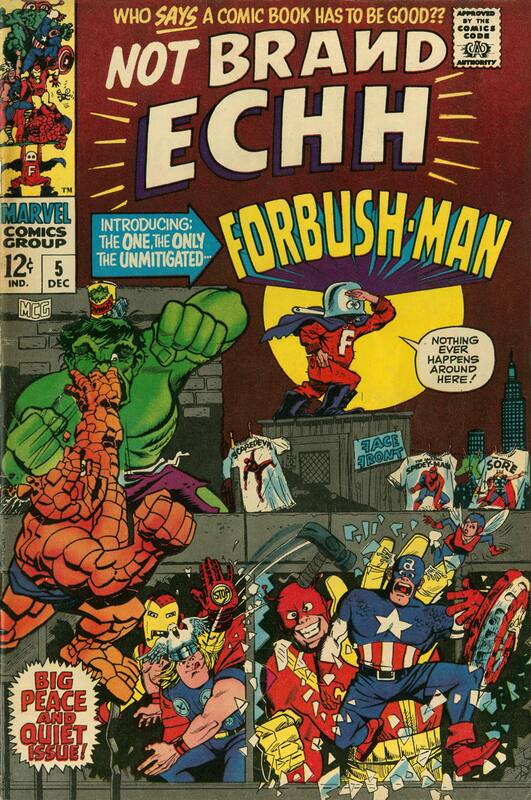 Here we have a story from the fifth issue of Not Brand Echh titled, "The Origin of Forbush Man". 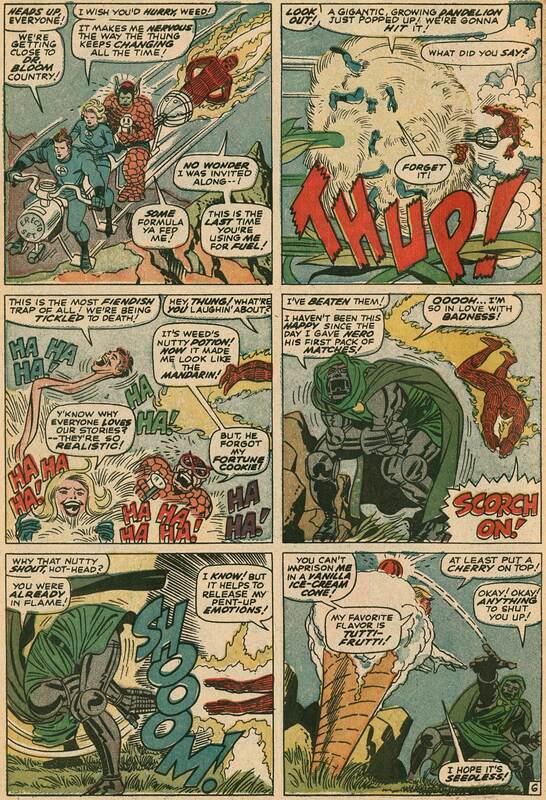 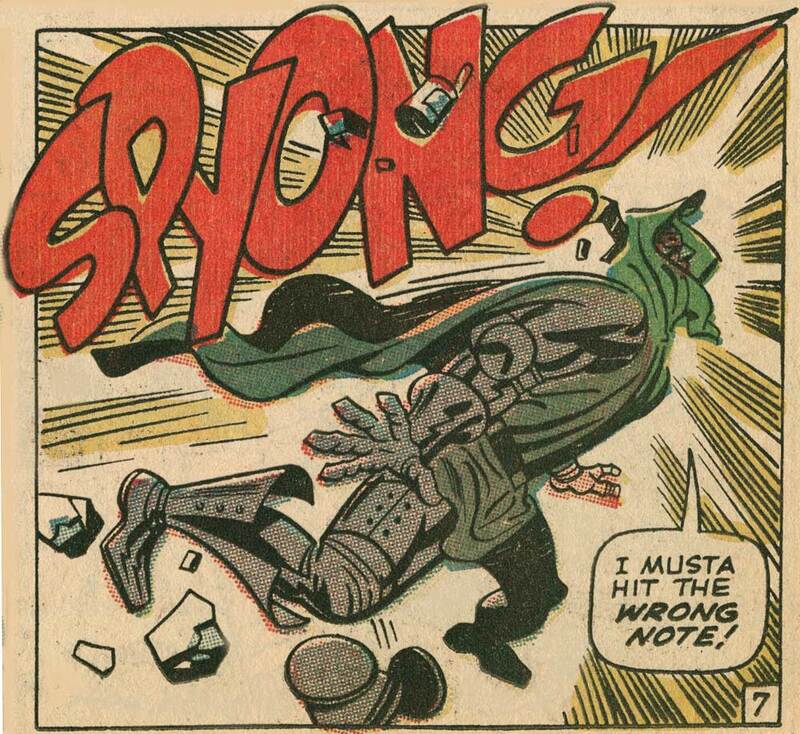 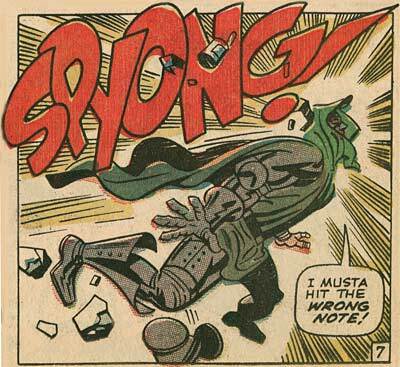 It was written by Stan Lee, laid out by Jack Kirby, drawn by Tom Sutton, with lettering by Artie Simek. Check out the new book collecting Not Brand Ecch! This entry was posted on Friday, August 3rd, 2018 at 12:45 PM	and is filed under comic book, jack kirby, marie severin, marvel, superhero.